This post was originally published on SalesHacker.com. The weekly sales meeting — you know the one. The whole crew gets together for what amounts to an hour-long discussion around menial housekeeping items or which sales rep got a little closer to nailing a sale. Certainly it’s important information in its own right. But, it’s not worthy of eating up an hour that could be better used securing leads. The substance of the old-school sales meeting, in essence, belongs in a weekly email. More than 90 percent of employees stuck in pointless meetings end up lost in daydreams; almost 40 percent fall asleep. And a whopping 73 percent of them are doing totally unrelated work while they’re sitting there. But it doesn’t have to be that way. It’s time to take back the weekly sales meeting—it can be a highlight in your team’s week and, dare I say, even fun. The idea of acting out scenarios in front of peers and management can be, to say the least, a bit daunting. But it doesn’t have to be — it can be inviting and constructive. To promote this kind of healthy role-play, ensure it’s not spontaneous. Character roles may switch, sales reps may pitch to their bosses — whatever the mashup, the goal behind role-playing is twofold. To improve performance and spice up your otherwise muted weekly meeting. The exercise should take no more than 15 minutes, and afterward, peers can share constructive feedback and improvement points. Later, one on one, provide your own feedback to those individuals on a managerial level. DON’T: Never thrust a pencil in a sales rep’s hand and say, “Sell this to me.” This puts people on the spot and causes immediate negative reactions and discomfort. 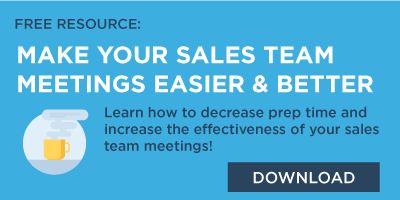 DO: Alert your team that for every few sales meetings held, role-playing will be involved. At the start of the meeting, give your staff a handful of common situations or objections that can arise in an interaction with leads; then, the acting begins. 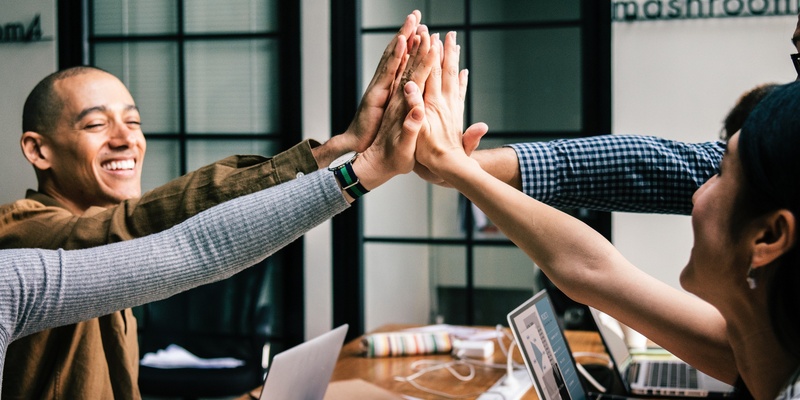 Everyone loves to hear from new people — especially when those new people can provide insights and tips into the inner workings of your industry. Jazz up your sales meeting by bringing in experts who can touch on the things that matter most to your team. DO: Bring in a speaker who is relevant to the type of work you’re doing at the moment. If one of your salespeople works heavily with franchises, bring in a franchise owner. That owner can answer questions, touch on pain points, and explain what his or her industry is looking for from sales teams like yours. Every sales team should have an arsenal full of past success stories that team members can relay to future prospects in hopes of closing a sale. DO: Develop a healthy, wealthy story bank. These stories cover common problems the team solves successfully. Having this kind of storytelling in your back pocket is proven to secure leads far better than the washed-up elevator pitch. A OneSpot study found that relaying information as a story is up to 22 times more memorable than relaying it as facts and stats. The better leads remember what you can offer, the easier they’re converted. DON’T: If you haven’t memorized those stories, they’re pointless. Having a story bank doesn’t matter if your team hasn’t rehearsed together. If Sally relays a story slightly different than Jim, inconsistency occurs. Thus, that’s what your team becomes known for. In your weekly sales meetings, make sure every success story in your arsenal is a match across the board. Finally, ask your team what stories have worked best and in what way. Was saying it one way more effective than another? Discuss, practice, and rehearse to solidify your storytelling efforts. Sales training occurs anyway. Might as well make it a little more fun by doing it as a team. In every few weekly meeting, include a little collective training. Assuming your company has a defined sales process, identify areas in that process where people may be struggling. Then, knock it out all at once when your team is together; it’s more effective and efficient. DO: Change up the type of training you conduct in your sales meetings. For example, that varied training could be for the smaller, often overlooked items: How long should our emails to clients be? Are our subject lines fairly consistent? Do we have best practices on client communication? Hold mini-training sessions during your meeting to establish (and train on) these things. If it’s all relayed in the same space to the same people, that leaves little room for inconsistencies down the road. B2B salespeople can spout expertise on product and service lines and general business acumen. But, when it comes to having a basic business discussion — one that covers trends or current events — they’re at a loss for words. So in your sales meetings, have conversations about current events. Years ago when I was a sales manager, I bought everyone on my team a subscription to The Wall Street Journal. Once a month during one of our sales meetings, I’d ask each rep to bring in an article from the paper he or she had read within the last few weeks. Are there industry changes we need to know about? Does it look like our consumers are shifting their focus? DO: To have a pulse on current events and trends is to have a pulse on future prospects. 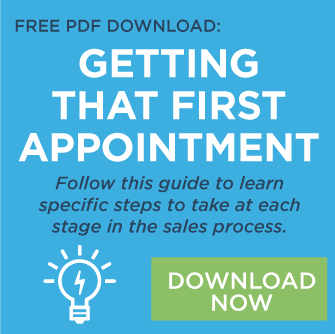 Ensure your sales team is up-to-date and in the know. While your sales crew currently drags their feet to those weekly meetings — and you probably do, too — it’s never too late to change. Make those meetings something everyone looks forward to, and boost morale (and sales) as a result.